Tai Chi originated as an ancient Chinese martial art. Over the years it has been adapted and is now also taught as a health improving form of exercise. 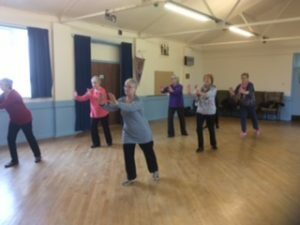 Tai Chi’s slow, gentle movements give you the chance to relax and strengthen your body without the risk of strain or injury. 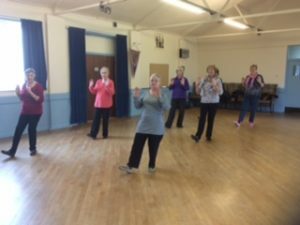 Research has found that Tai Chi is particularly good for the elderly as it helps increase flexibility in the joints and significantly reduces the risk of falling. 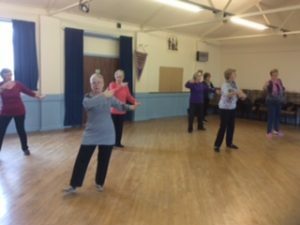 Tai Chi can be practised by anyone, anywhere and in virtually any state of health. It can be learned at any age and is good for increasing concentration and reducing stress levels. At present, there are two groups. You don’t need special clothes, just loose or comfortable trousers and flat shoes. 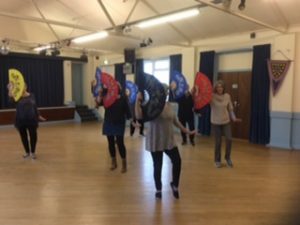 If you think you might be interested in joining us, feel free to come along to a free taster session, both groups are very friendly and would be happy to see you. 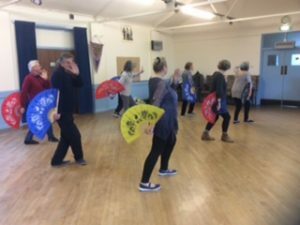 A new beginners class usually starts in September but if you have any previous experience of Tai Chi, you would be welcome to join us at any time.